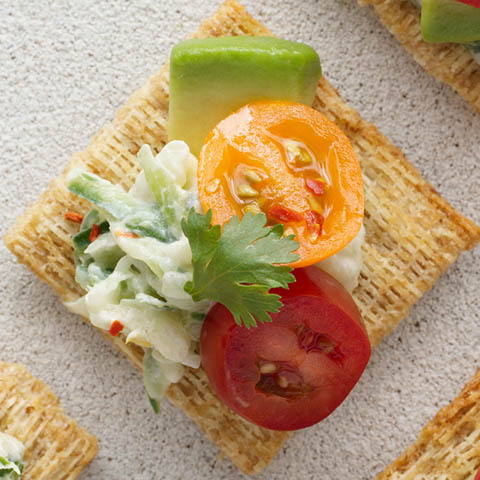 SubstitutePrepare using regular TRISCUIT Crackers. 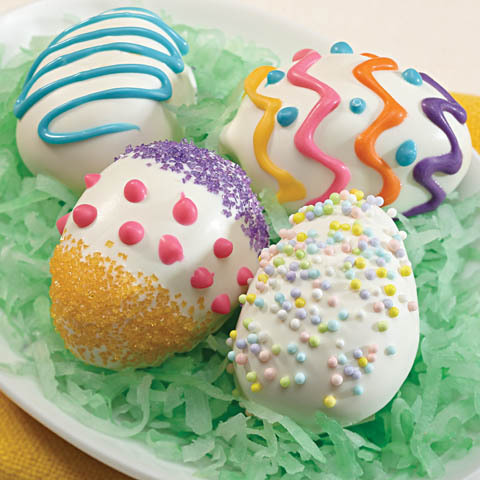 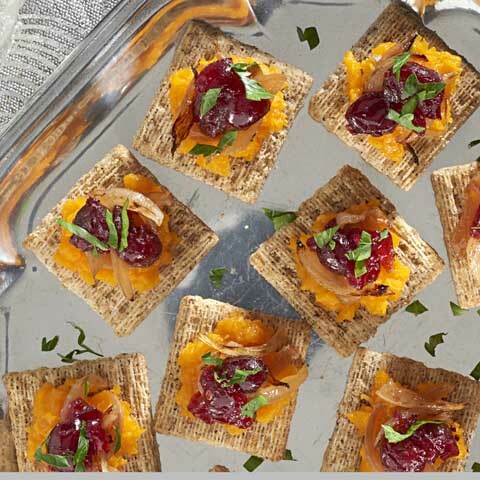 Special ExtraIf your fresh mint is flowering, sprinkle topped crackers with some mint flowers in addition to the mint sprigs. 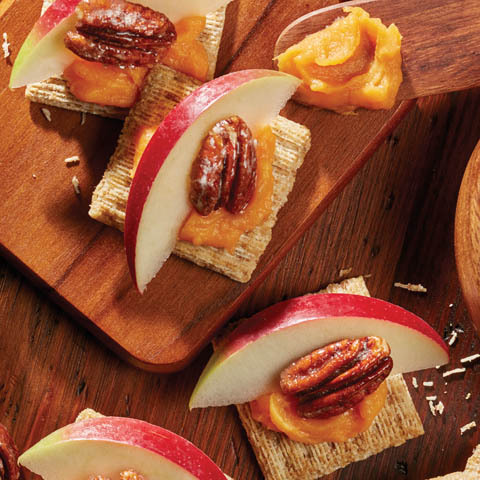 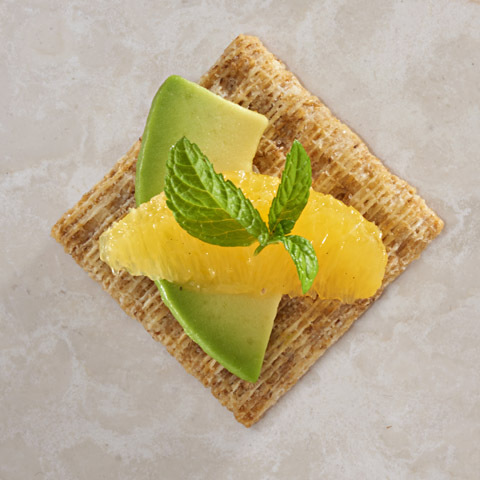 The avocado, orange and mint flavors are a perfect complement to each other in these delicious, yet low-sodium, topped crackers that are also rich in vitamin C from the oranges. 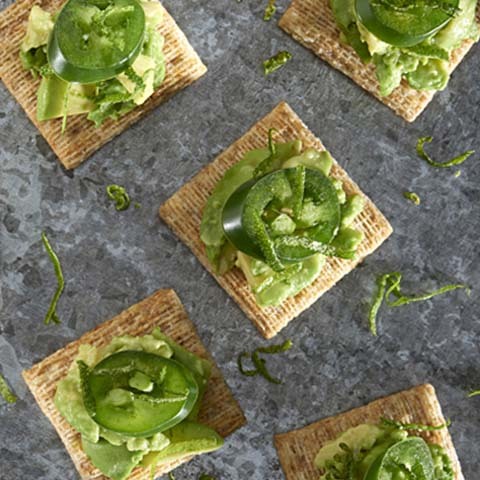 And as a bonus, the TRISCUIT Crackers team up with the avocados to provide a good source of fiber.